The Ottoman League has decided to put their naval forces towards securing and reinforcing Thasos in order to threaten the flanks of the advancing Balkan land forces. Admiral Al Reis is eager to try and relieve pressure on the ground troops in Europe while more Turkish reinforcements cross the Dardanelles to relieve them. In the meantime, Admiral Ivanov of the Balkan League wishes to continue their aggressive push to the Dardanelles and achieve a key objective in the war effort. Both commanders of the fleets choose Offensive for their Strategy. The scenario will be a Raid, and the Ottoman League rolls the d6 to determine scenario as the attacker. The Ottoman League (since they are leading the campaign) rolls up a Bombardment scenario. In a bombardment scenario, each side fields up to 25 armor points. The attacking Balkan Ground Forces had managed to over-run a radio tower formerly used by the Turkish Navy. It was behind enemy lines and would be difficult to assault using conventional means. The Balkan League Admiral Ivanov was using the tower to broadcast signals to help co-ordinate his fleet in support of the ground troops. The Ottoman Admiral Al Reis decided to launch a daring raid to try and destroy the radio tower and its broadcasting bunker. The radio’s destruction would hamper the Balkan League fleet’s ability to press the attack on the Dardanelles and respond to the Ottoman advance in the Aegean. The Ottoman admiral thought the raid was so important that he decided to personally lead the attack with his Flagship along with his only bomb equipped warships. Once the raid was detected by the Balkan land forces, the only Balkan League forces in a position to respond were the newly repaired Brennus and Georgios Averoff and Admiral Ivanov’s flagship. The board is covered by clouds at an altitude level of 4. To represent this, cloud banks have been added to the board. However, the whole board is covered at altitude 4. The Pyotr is the Balkan League Flagship with the Sultan Mehmed- II Fatih as the Ottoman flagship. The game is played on a 4 by 4 table. The Ottoman fleet has 6 turns to destroy the installation. It is located 13inches in from the Balkan board edge on the West side. It has an armor of 7. The Ottoman forces come in from the East at maximum speed and mid-altitude. They are making use of the clouds to cover their approach. The Russian flagship is relatively low and looking to cover the radio tower while the two other Balkan League ships try to cross the T on the attacking Ottoman’s. The Sankt Georg and the Trakya turn to the north instead of heading straight to the target. They are wary of the approaching Balkan force. The Battleship steams forward. The Pyotr steams towards the radio station, while the Brennus and Georgios Averoff move in on an oblique approach. No one has the range. Initiative: Ottoman’s have two successes to the Balkan 1. They choose to go first. The Ottman’s continue their advance. This time the bombers slowdown, looking to time their approach after the enemy heavies have passed the target area. The Battleship turns in towards the enemy heavies. The Balkan forces move forward with the two Balkan heavies converging near the target. The Greek armored cruiser cuts behind them to protect the radio tower. The enemy ships are at maximum range, but the cloud cover has limited visibility to short range. This is going to be a knife fight. Initiative: No successes, so the Ottoman’s elect to have the Balkans go first. The Ottoman bomb equipped cruisers try to stay away from the Russian battleship and French Heavy Cruiser as they move in front of the target area. The Russian battleship is hovering below the cloud line as a threat. Meanwhile the Greek ship covers the rear. The Sultan Mehmed Il-Fatih drops below the cloud bank to 3 to challenge the Russian admiral to a duel. The Pyotr was ready for the Ottoman battleship to show itself, and unloads an effective broadside the lands 5 bursts! However, none manage to burst the armored belt of the Turkish vessel. The return fire is enough to inflict one true hit on the Russian ship! No other ships have the range due to the cloud cover. Apply Damage- The Pyotr loses 1 armor from the Ottoman fire. Initiative: Ottoman’s 2, and Balkans 1. Ottoman’s choose to go second again. The Pyotr signals the Brennus to drop from the clouds and engage the Ottoman Battleship. Meanwhile, it moves up back into the clouds to try and hunt down the bombers. The Greek cruiser drops to three and waits for the bombers to emerge out of the cloud bank low. The Sankt Georg and the Trakya both move out of the cloud bank, risking the guns of the Georgios Averoff instead of the Pyotr. 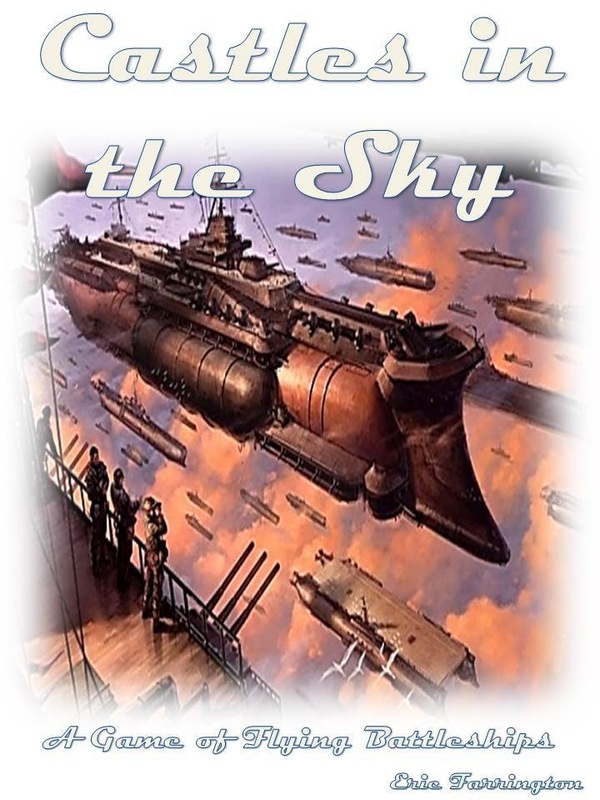 Meanwhile, Admiral Seyid Al-Reis commits to a dangerous plan and orders his ship to crash dive below the cloud banks. He drops to altitude one rapidly and prepares to bombard the enemy radio station with his guns. That was unexpected! The Broadside of the waiting Greek ship manages to land two bursts on the Austrian Armored Cruiser, but no damage. The Brennus manages a stern shot on the Mehmed Il-Fatih, and lands a burst. The Ottoman’s return fire on the Greek ship lands 5 bursts, with no damage. In addition, the Ottoman Battleship’s attack on the Radio Tower fails to hit anything vital. However, the crew does head for the bombardment shelters. Burst Removal: Both sides manage to remove all bursts on the board with some solid rolling. Initiative: Both score 1, and this time the Ottoman’s choose to go first since they have a higher Command rating. The Ottoman bomber ships race for the target area, but fall short. The Ottoman Battleship begins to circle the radio tower at low altitude. The Greek Armored Cruiser slows and prepares her broadsides for another salvo. The Pyotr comes from the cloud bank, and targets the Sankt Georg. The Brennus tries to come about, but turns towards the north and a potential broadside shot at the Ottoman cruisers. The Trakya fires her weapons at the nearby Georgios Averoff, and causes 3 bursts. The Sankt Georg opens fire with her stern guns on the Pyotr and inflicts a burst and 1 hit! Her bow and port guns fire on the Brennus and causes 3 bursts. Finally, her air torpedoes race into the target and cause 3 hits! The Ottoman flagship opens fire on the radio tower, and causes another two hits and 3 bursts. The radio tower is taking a beating this turn. The Balkan forces strike back! The Georgios Averoff fires a broadside on the little Trakya and gives her fours bursts and 1 hit. The Pyotr gives the Sankt Georg a broadside and causes 3 bursts and 1 hit. The Brennus also fires ont eh Sankt Georg and causes two more bursts. Damage- The Pyotr loses its bow Heavy battery to fire- Ouch!. The Sankt Georg and trakya both lose an armor point. Bursts- The Ottoman’s take one off the Sankt Georg, and the Balkans take all three off the Brennus. Initiative: The Balkan forces score 1, and that is enough to win. They choose to go first. The Pyotr, Brennus, and Georgios Averoff begin the form a half-circle around the Austrian Sankt Georg, who is slowed to a crawl by the bursts around her. Meanwhile, the Trakya has anough steam to power to the target area and prepare to drop her bomb load. The Mehmed il-Fatih positions itself for another bombardment broadside against the weakened target. The Brennus locks-on to the Sankt Georg determined to make the armored cruiser suffer! Wow, when the smoke clears, the Sankt Georg had 15 strikes and was easily reduced to 0 armor. WOW! The Pyotr managed to put 3 more bursts on the Trakya. The Georgios Averoff hit the Sankt Georg for one more hit. In her death throes, the Sankt Georg fired a full broadside on the Georgios Averoff for 1 hit, and 1 burst. The Trakya was too shaken by burts and was unable to drop her bomb load, but still manages to fire her stern guns on the Greek cruiser causing two more good hits! The Ottoman flagship fires its broadside at the heavily damaged radio tower. It is enough to turn the Radio Tower into a pit of death and destruction. It is no longer usable by the Balkan troops. Damage- On the Last hit from the Georgios Averoff, the Sankt Georg exploded, killing all hands! The blast also snags the Trakya, causing 2 more bursts but no damage. Georgios Averoff- Loses 3 armor, bringing her to 5. The Radio Station is destroyed. The Ottoman League wins, but at a heavy cost. The Balkan Radio Tower is destroyed, but the Sankt Georg was destroyed by the Brennus in the operation. The Mehmed Il-Fatih signaled for the remaining ships to take cover in the cloud bank and withdraw back to the Aegean. There had been no sign of survivors from the Sankt Georg and her smoldering wreckage covered the countryside. In addition, a billowing column of black smoke rose from the sight of the radio tower. With the loss of the Radio Tower, Balkan air and ground forces began to have trouble coordinating their maneuvers. Soon, the Turks were able to isolate Balkan units and destroy them or force them to surrender. The Balkan Leagues drive towards the Dardanelles was halted…. for the moment. Well, that worked sort of like I planned. I hoped the bombers would draw the main force, but I intended to use the Battleship to drop in low and bombard the station to wreckage. It worked, thanks to an amazing air torpedo barrage from the Sankt Georg. The cruisers with the bombers paid a heavier toll than I expected, however the Brennus rolled remarkably good and pasted the Sankt Georg. He barely even needed Command to re-roll misses because the dice didn’t really miss. It was an epic hammering. It barely felt like a win after the Austrian ship exploded in the last moments of the game. Oh well. Now I know how the Balkan League feels. At least it wasn’t my command ship. The Ottoman League wins the raid by destroying the bombardment target. However, they lost 10 armor to 5 armor. This leaves the campaign at 4 points to 1 in the Ottoman’s favor. They are 1 decisive battle away from victory. The Trakya manages to repair its lost armor point with crew. Pyotr- The crew gets the Heavy Battery in the bow working again. However, it takes a strategic Asset to repair the rest of the damage. Georgios Averoff- The crew repairs 1 armor, and strategic assets to cover the rest. The Ottoman’s bank their Assets for 11 value to 2 by the Balkan forces. No one loses a Strategic asset, and the Balkans have 3 while the Ottoman’s have 4. The Balkan League advance has finally been halted thanks to the arrival of new Turkish troops from Asia. In addition, coordination between the rival Balkan allies has begun to breakdown and petty squabbling has started. Admiral Ivanov’s grand plan to storm the Dardanelles seems to have been stalled. Meanwhile, the Ottoman High Commands move on Thasos was a success. Now from their new positions they can pressure the Balkan invaders on multiple fronts. Their next goal is to try an push back the multi-pronged Balkan attack back in Greek territory. Castles in the Sky- Flying Battleships! 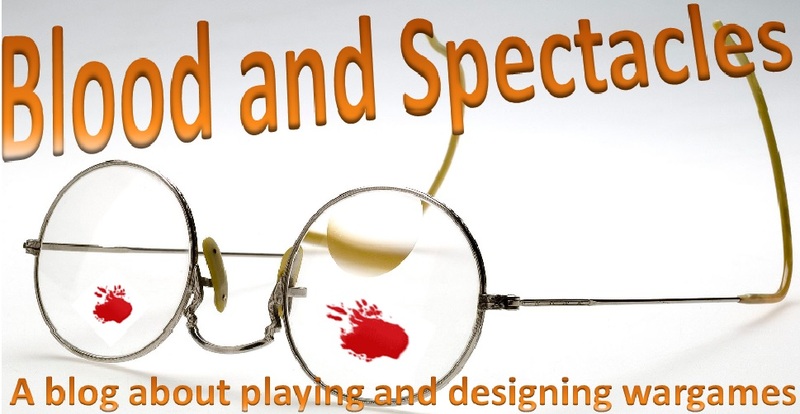 The Games: Blood and Spectacles- A Game of Gladiators! Aeronautica Imperialis- Battle Report: Air Raid!